The letters are from Creative Memories. 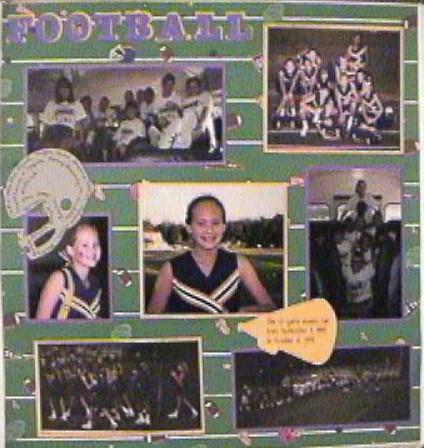 The cheerleader diecuts were made with the Middle School's diecut machine. I am not sure the brand of the back ground paper.